For all your conversion projects. Only a true man dies fighting, I for one run away. Thanks, Hopefully I'll be able to get the materials i need soon to go beyond the skeletal framework of the torso and arm and get some serious progress done. Orks have No ladies. Be even MORE AFRAID. I'd question the scale of that Imperator Titan, however, Most of the Titans are based on either the Forgeworld scale, or the Epic Scale. 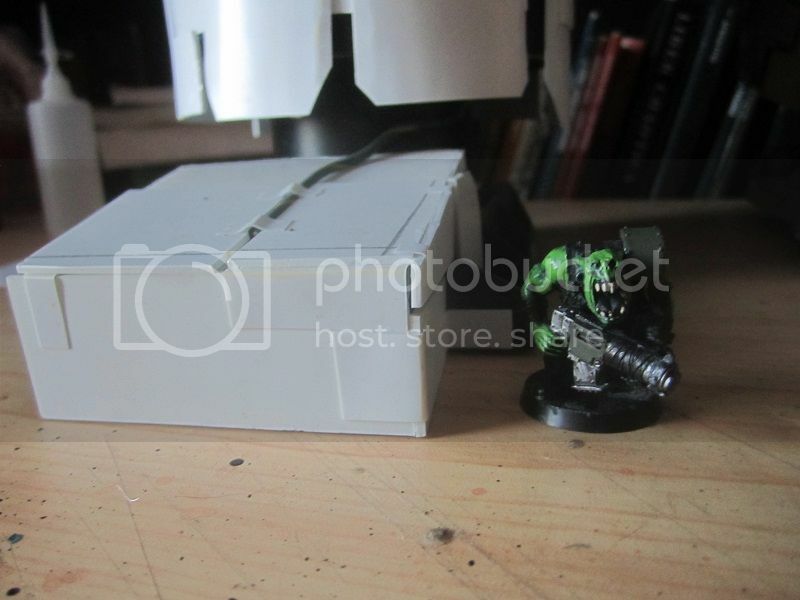 Forgeworld did it right, and so their titans are smaller then people's imagination, However, Epic had a very messed up scaling, where the diffrence between an Warlord and a IMperator Titan was... well almost Nothing. My Mega-gargant is... well 20inchs tall at the Hip, So should be just a tad taller then the Forgeworld scale Imperator titan. The Arm is looking rather long and thin atm, but it will be heavily reinforced and thickened, I'll be making some heavy duty Hydrolics to give it the impression of movement Once i get more parts. Just Wait till its done! Indeed, its rather heavy, I woudn't trust it on any table that I don't check first, I may eventually build it a Stand just to spread the weight out so it won't damage any table. Loyal Minions! I Call upon your combined search-Fu Powers! I Am requiring some inspiration for the Dual Twin-Linked Macro-Zzap Guns! Basically some sort of low tech looking Giant Lascannon/Beam weapon! I've got a few ideas of my own thus far, but Nothing solid enough for me to say "I'll sit down and build that NOW" Mostly... since I have to build something with 4 barrels! So... Lets see what you can find! Go out into the interwebs and return unto me that which I seek! "The Humans say, If you build it they will come. Alas each time I build something, Most people tend to Run." -Musing of the Dreadboss. I think this weapon from fallout 3 is really cool. 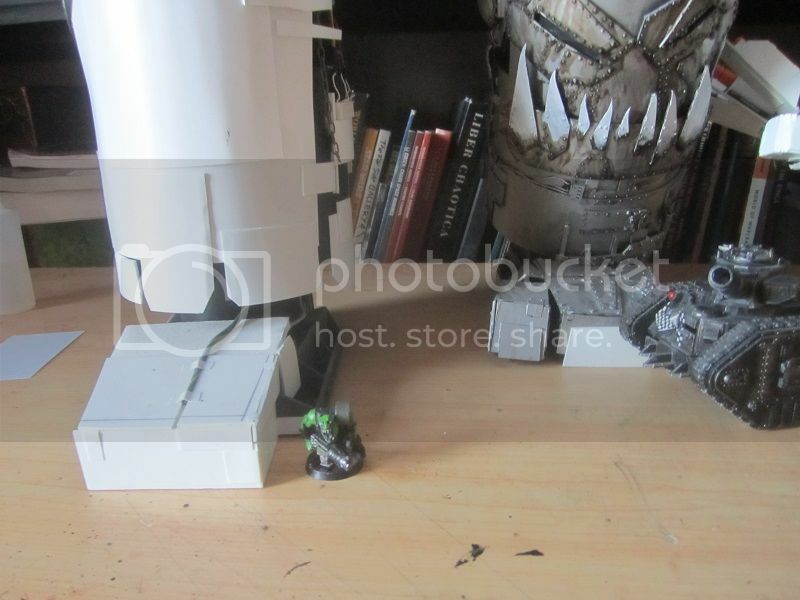 The weap at the bottom ofc And continue to make gork and mork happy . it could also affect your other ork companions. I believe you mean a trolly cart. Here's the conversion beamer I built for last month's Mini of the Month. Hope that helps with the zzap gun inspiration (even though it's on a MUCH smaller scale), since it seems they're both ray gun type weapons. This is impossibly awesome. I hope you finish. Because one can't be normal all the time. Necrons ~ 3000pts 90% painted. May my Orks and CSM forever rest in pieces. Arise! ARISE! Arise and waken O thread of mine! Rise once more and shake off the dusts of Eternity! Rise and march once more unto war! Lets begin with a few new pictures! Hm.... Seems this one is a tad too close... perhaps I should back up. Dang, still too close, lets try from a different Angle! Still Not good enough! One last try! I love the redesign None! It looks much stronger, both real and fluff! Check out my YouTube channel for battle reports, and painting videos! How long have you been working on this now?